The 37th annual Mike and Key ARC Electronics Show and Flea Market is just under two weeks away. The Mike and Key flea market will take place on Saturday, March 10th at the Washington State Fairgrounds in Puyallup. Doors open at 9AM (earlier for sellers). I’m looking forward to meeting other PNW electronics and ham radio folks there. I have a seller table again this year so I should be pretty easy to find. I’ll be selling a few kits along with ham radio gear and miscellaneous electronics. Mike and Key hosts ham radio exams during the swap meet, so if you’re interested in getting a ham radio license this is one opportunity. More details on the event flyer. 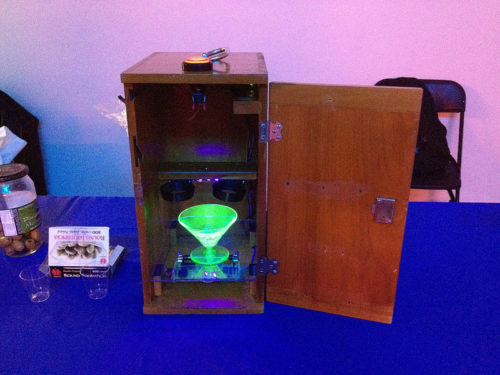 Josh Meyer and Jonathan Foote created this scintillating cocktail robot for Barbot 2013. They also exhibited it at the DNA Lounge Cocktail Robotics Grand Challenge last July. A MightyOhm Geiger Counter samples radioactive decay from a martini glass that contains a small amount of uranium. If the number of clicks in a set period is even, the robot dispenses vermouth into the glass. If the count is odd, it dispenses gin, therefore creating a wet or dry martini based on the random process of radioactive decay. 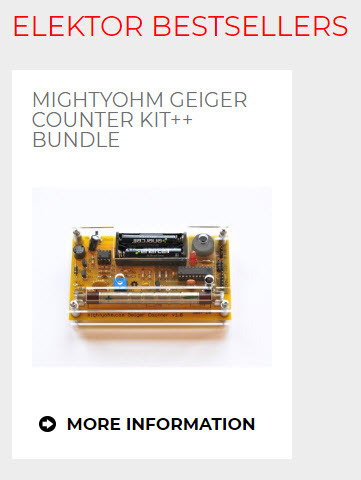 Icarus has written a tutorial on connecting the MightyOhm Geiger Counter to an ESP8266 module and OLED display. His code (written in LUA for NodeMcu) is available on github. 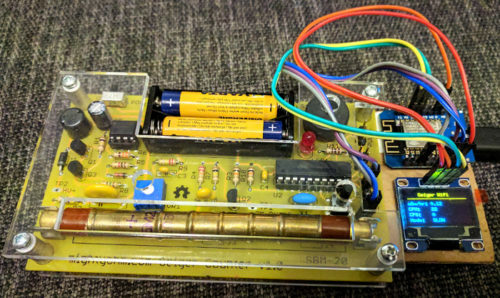 He is using the Wemos D1 mini board.